Steward’s Massachusetts hospitals include Carney Hospital in Dorchester (above) and St. Elizabeth’s Medical Center in Brighton. Boston-based Steward Health Care System said Friday that it has completed the purchase of 18 hospitals outside of Massachusetts, in a $2 billion deal the company said will make it the largest private for-profit hospital operator in the country. Under the agreement, Steward has taken over IASIS Healthcare of Franklin, Tenn., and its hospitals in Utah, Arizona, Colorado, Texas, Arkansas, and Louisiana. With the acquisition, Steward will encompass 36 hospitals across 10 states, and revenue of nearly $8 billion, it said. Steward announced in May that the deal was in the works. Backed by the New York private equity firm Cerberus Capital Management, Steward entered Massachusetts seven years ago when it bought the financially distressed Caritas Christi hospitals formerly run by the Archdiocese of Boston. Its local hospitals include Carney Hospital in Dorchester and St. Elizabeth’s Medical Center in Brighton. The company has faced scrutiny over its failure to submit timely information about its finances and merger plans, as required by state law. The Massachusetts Health Policy Commission requires health care providers to submit price, quality, and other data about pending mergers, including large out-of-state deals. Health care providers are supposed to submit the information at least 60 days before completing any deals. But Steward didn’t give notice about the IASIS deal until just 11 days before it closed. The company also told the Health Policy Commission in September about the purchase of eight hospitals from Community Health Systems Inc. — a deal that closed in May. It’s unclear how much the Health Policy Commission will scrutinize the mergers now that they have been completed, but the panel said it will review the transactions anyway as part of its watchdog role. “The HPC looks forward to working with Steward to conduct its review of these two transactions,” said Matt Kitsos, a spokesman for the commission.Steward also has accrued $300,000 in fines for failing to submit timely financial information to the state Center for Health Information and Analysis. This week, the company belatedly turned in numbers for its individual Massachusetts hospitals. They show mixed results. 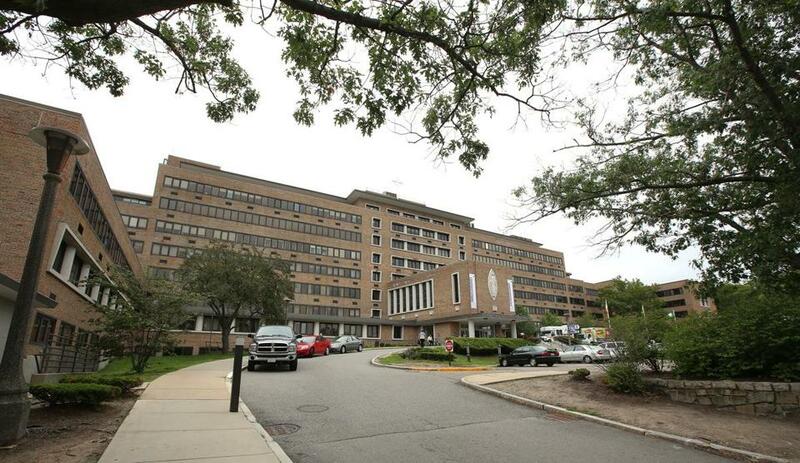 Carney Hospital lost about $11 million in the first six months of the year, according to the filings, while Saint Anne’s Hospital in Fall River earned a $17.8 million profit in the same period. But it’s difficult to fully assess Steward’s financial health because for the past three years, the company has not submitted complete financial statements detailing companywide revenues, profits/losses, and other information, according to CHIA. “CHIA continues to levy weekly fines to the maximum allowable amount under state law against Steward for failure to provide parent-level consolidated financial statements,” agency spokesman Andrew Jackmauh said. The company’s purchase of IASIS hospitals includes a $1.4 billion investment from Medical Properties Trust Inc., a real estate investment trust that owns the bulk of Steward’s hospital properties. MPT said it has also invested $100 million in equity in Steward. Priyanka Dayal McCluskey can be reached at priyanka.mccluskey-@globe.com. Follow her on Twitter @priyanka_dayal.